After three years of development, KastKing launched the 2016 version of its fishing reel, the KastKing Sharky II Spinning Reel. This model has more power and provides an effortless fishing experience when used with supporting accessories. 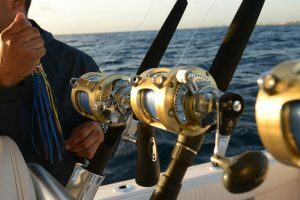 This spinning reel has been designed with much research and planning, building on the successes of the KastKing Sharky. 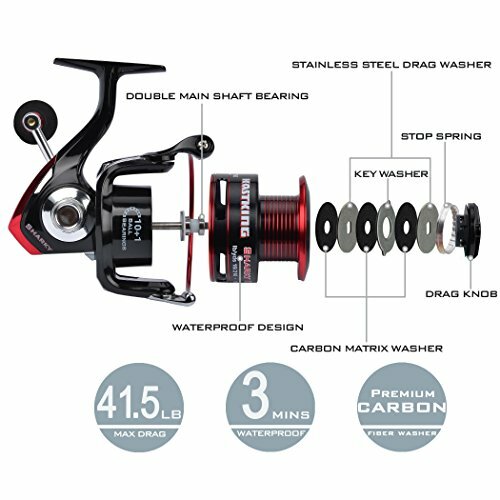 If you are a beginner and want to enjoy fishing without spending too much money on a good reel, then the KastKing Sharky II spinning reel should be looked at if you are considering buying a new reel. It is made of durable material, light in weight and easy to handle. The new spinning reel introduced by KastKing has a look that can easily impress buyers. Among buyers it is popular because of its bold look. The reel may look bold, but it is not at all tough to handle. It works really smooth and can withstand against all types of fishing conditions. Up to 41.5 lbs., the KastKing II reel is outstanding in its class. 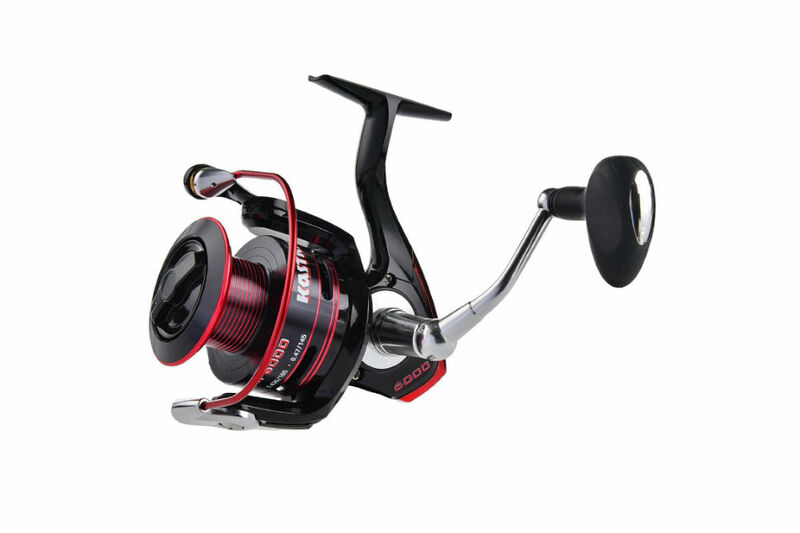 It has triple disk drag made of carbon fiber, which makes the reel reliable and efficiently stand up to hard conditions Provides more power and ease to fisher with the stainless steel shaft. Precision brass gear is also provided. This fishing tool is tough on the fishing, but smooth to users. It has 10+1 Maxi Dur ball bearings made of high quality completely corrosion free material. Stronger precision mesh brass gears; the main shaft is made of stainless steel. 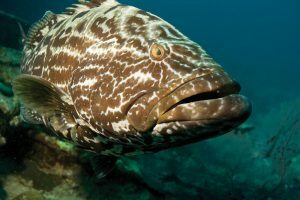 All these features provide a smooth performance for anglers. 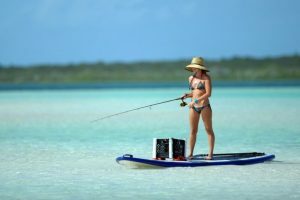 The feature that makes KastKing Sharky II spinning reel stand out from the others as it is reasonably priced—the price of this reel is very low in comparison to its competitors. It is a mid-range performing fishing reel. 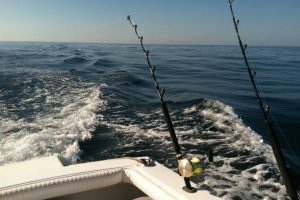 Unlike other products in the line, the Sharky II spinning reel is can be used in both fresh and saltwater. It gives amazing results in both conditions. In comparison to all other fishing tools available within this range, the Sharky II Spinning Reel is a true winner. However, it has certain limitations such as it has difficulty when under heavy load. 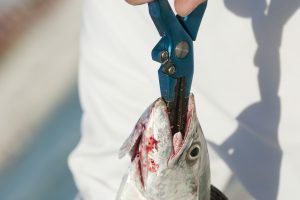 Oher users have complained that the reel began binding up, which made it difficult to retrieve their line. Several users also complained of the grinding noise the reel began to make after only a few uses. 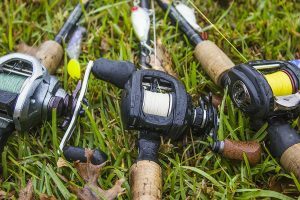 The KastKing Sharky II spinning reel has two main competitors, the Shimano Sienna FD spinning reel and the Okuma Trio High Speed spinning reel; both these fishing reels are a big hit among buyers. They, too, are relatively priced. But, these reels are available only in limited sizes. The Shimano Sienna FD spinning reel is available in four sizes and with much lower potential. Similarly, the Okuma Trio High Speed spinning reel is available in three weights. 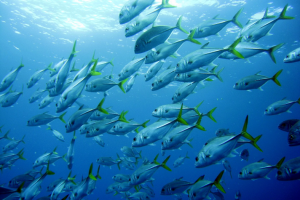 Also, the Okuma is not considered as a strong reel for fishing. 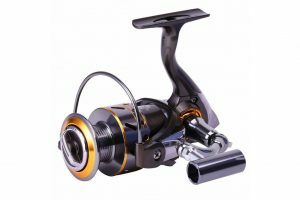 The body is made of less-durable material with a hybrid spool of graphite arbor and aluminum lip, thus it potential to withstand weight and extreme condition is questionable. All three instruments have anti-reverse rolling bearing, stainless steel bearing and good drag system. The price range of all three is similar, making these reels suitable for pleasure fishing and not for professionals. The Sharky II spinning reel is a true performer in every aspect, and it provides excellent value for your money. 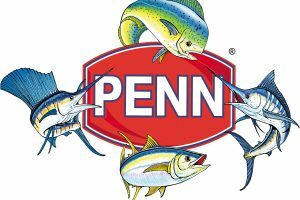 For beginners and those who want it just for causal fishing, this is the right tool to go with. The reel has a super smooth action, and the drag is really easy to set. When casting, the line spools out easily, and there are no problems with tangled lines or back spinning. Amazon reviewers gave the Sharky II a 78% 5-star rating, most citing value for dollar and durability as its chief features. A real winner of a reel.